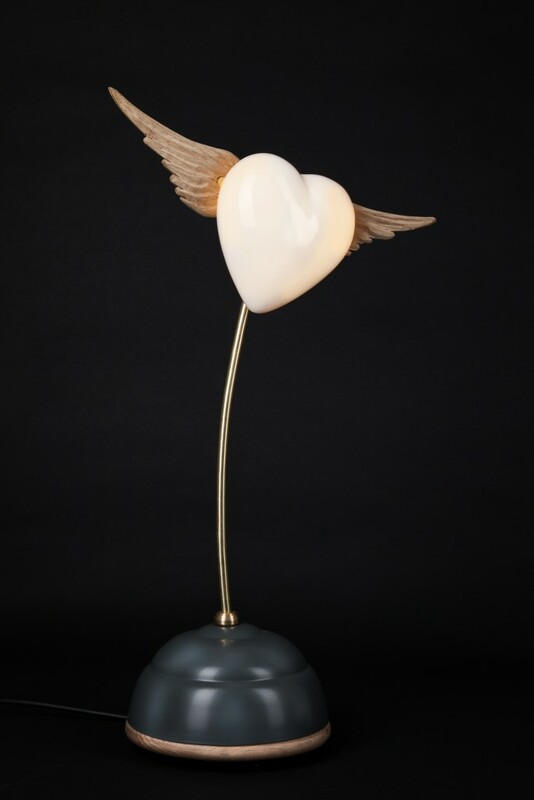 Flying Heart is the first in a new series of animated lights. 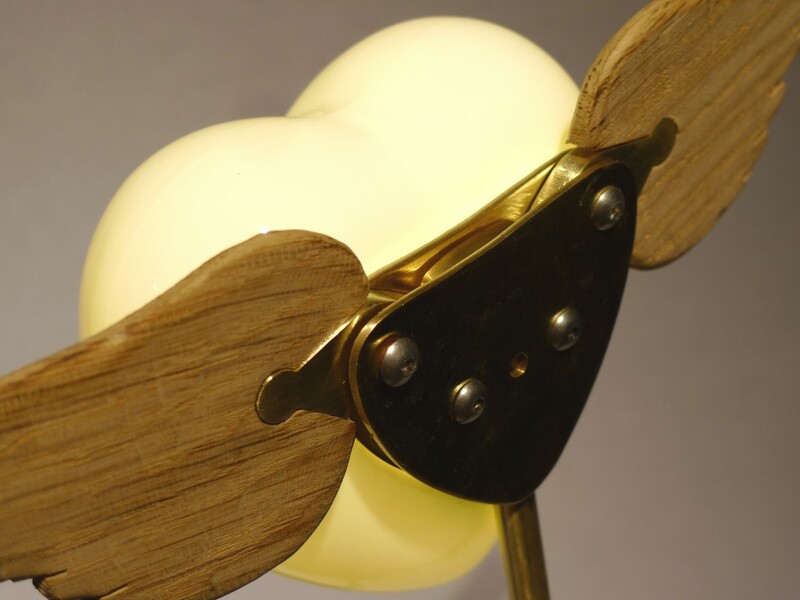 Made in brass, oak, bone china and spun aluminium. 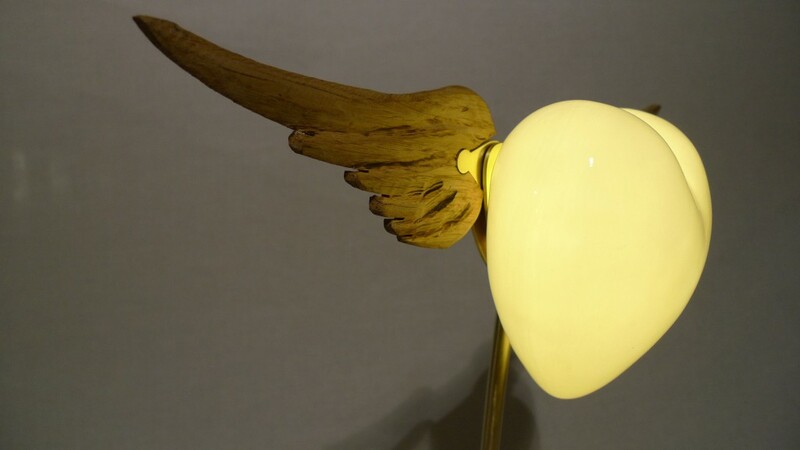 Featuring an illuminated heart with gently animated wings. 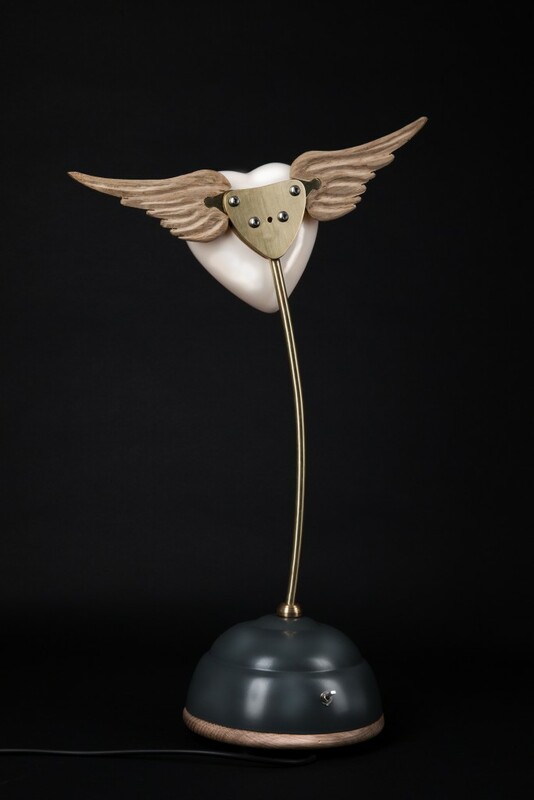 Flying Heart will be in production in September.